Colours add prosperity and happiness without any doubt. Keeping this T-light candle stand made of wood will obviously be an innovative way to add the Read More..very essence of creativity to the surrounding environment. 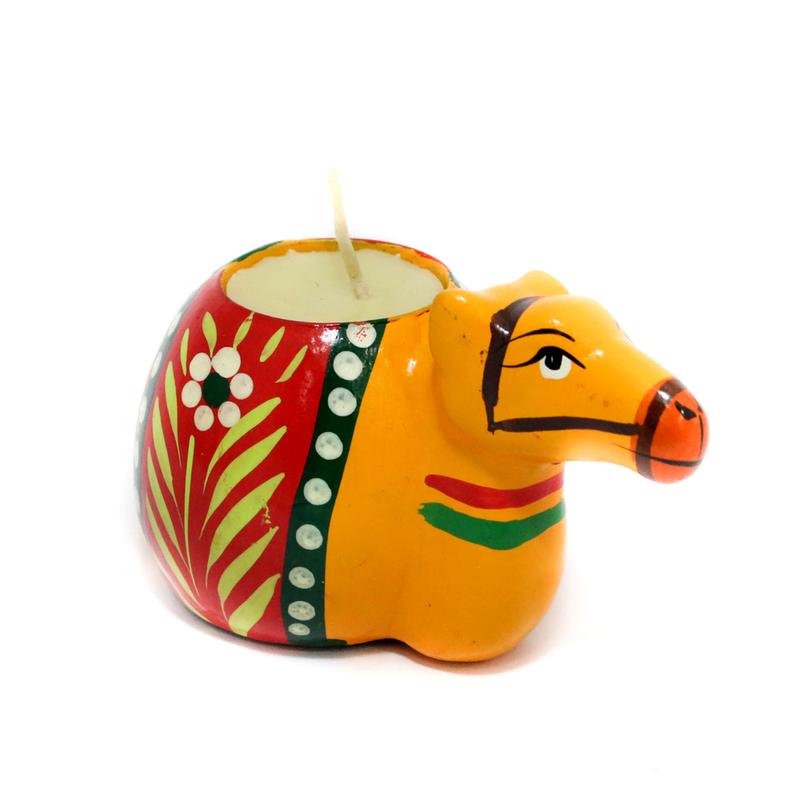 This candle is in the shape of a camel with its 'hump' carrying the wax portion. Show Less..